Board had a leak after only a few uses. On the sidewall as well which is supposed to be the re-enforced part. Update: The board had a small puncture on the sidewall. The sidewall is supposed to be the most rigid part of a board. We decreased our overall rating. More in the performance section. Wondering if the Keeper is a “keeper”? Perhaps you’re on a … “quest” to find the “keeper”? 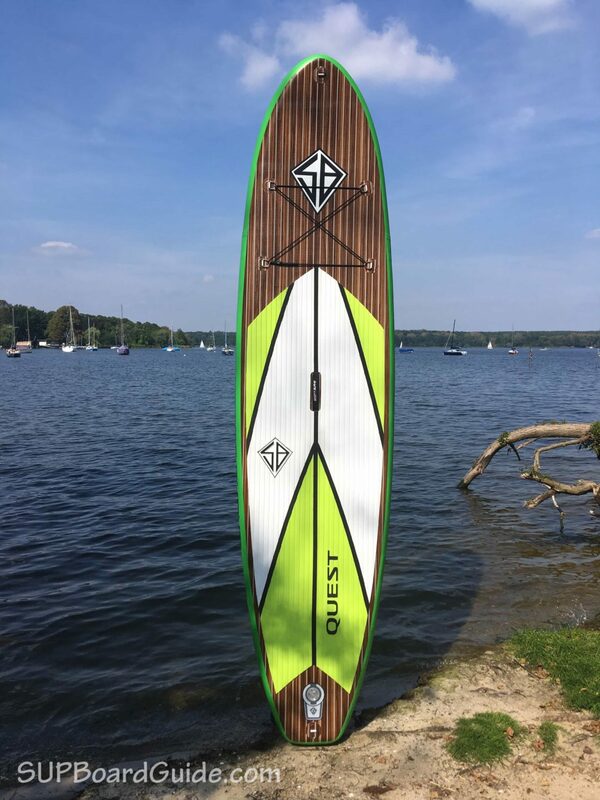 I’ll just congratulate you on deciding the Keeper Sports Scott Burke Quest 11’ is something worth looking at to buy (It is). Even if the name is ridiculously long. Let’s cut it back to the Burke Quest 11’ from here. Since 2008 Keeper Sports has been producing quality SUP’s and to this day, they pride themselves on their customer service. Now, wondering if this particular SUP is for you? 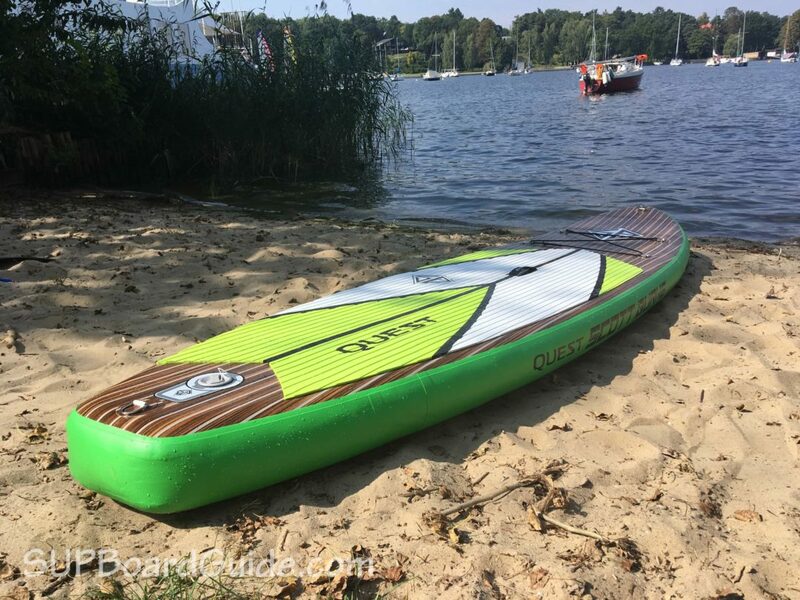 We have reviewed the Burke Quest 11’ to the fullest extent possible! Update: Unfortunately, the board didn’t last too long. It’s been used about 7 times in total before it had a small puncture on the sidewall. 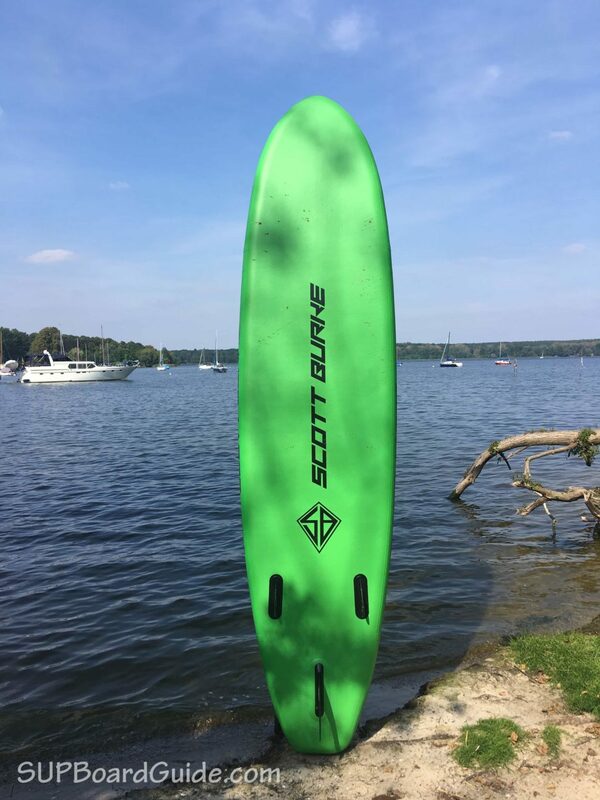 There was no noticeable impact and the board started leaking out of nowhere when on a lake. It’s easy to fix. However, it’s just not something that should happen on the sidewall after only a few times of use. You can see the bubbles from the leak in the picture below. 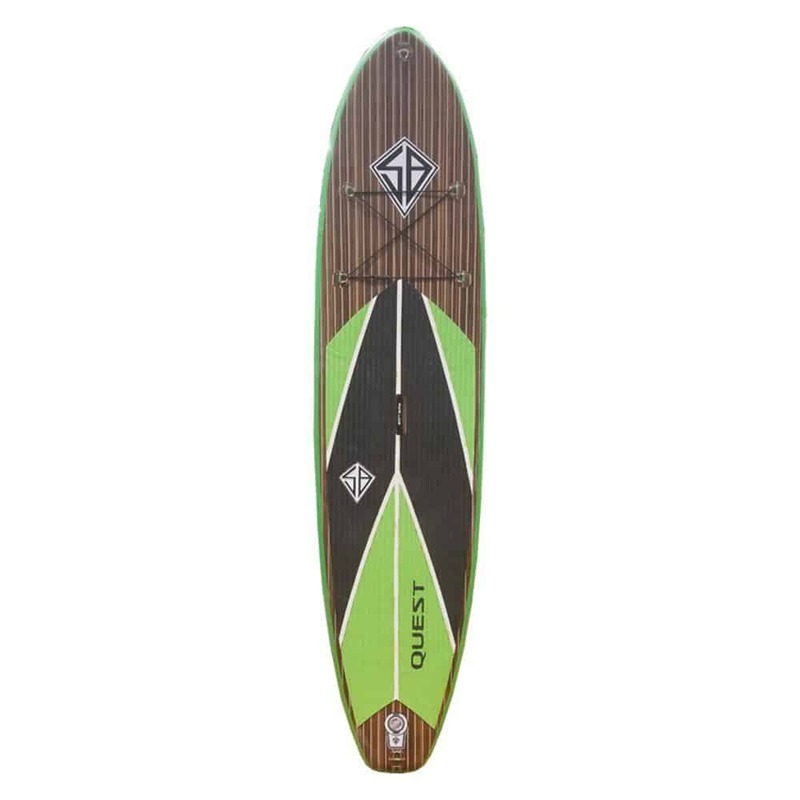 It’s a smart move to have a quality All-rounder in your quiver and the Burke 11’ Quest is a fantastic choice. 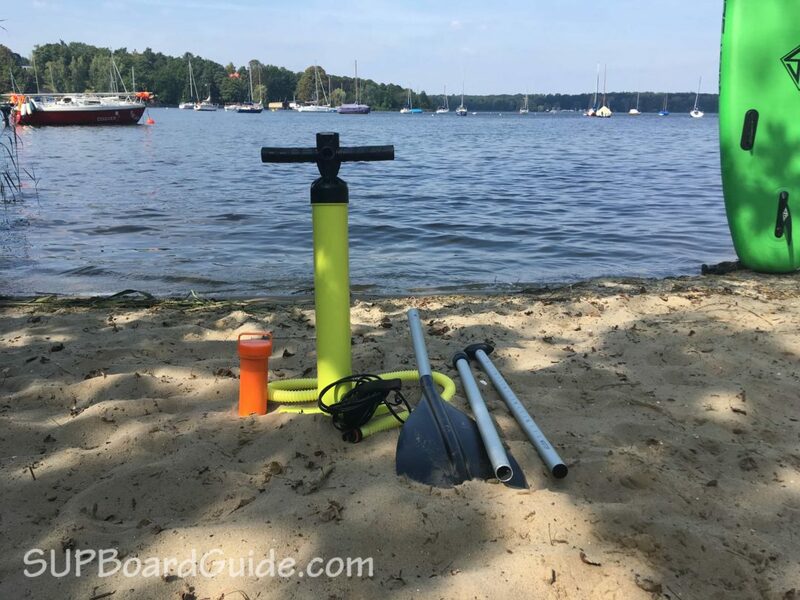 While some of the accessories could be improved (more on that later) the performance while out on the water will leave you feeling like you’ve been paddling your whole life. 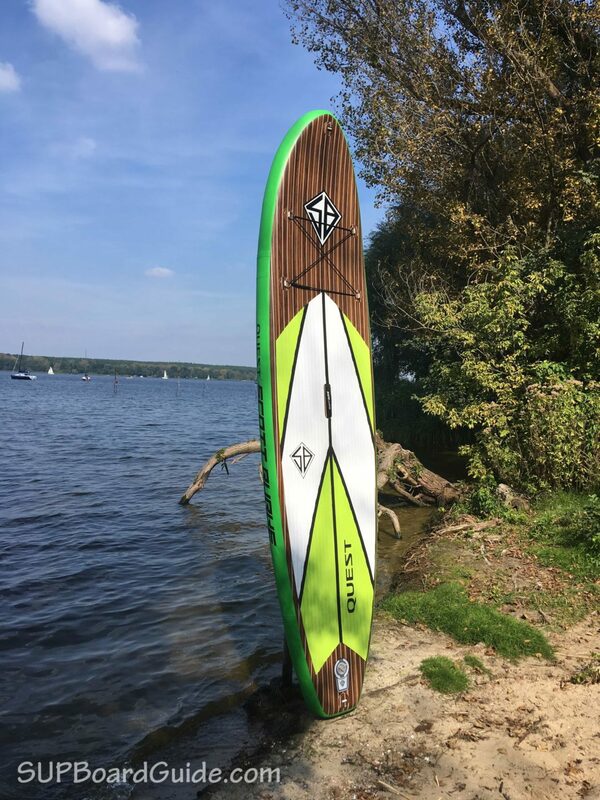 The slightly 32″ body and streamline design are perfect for gliding and still plenty wide enough for stability. Still talking stability, things like yoga, exercise, extra passengers all work well on the board also! Though, if you are wanting to use your board predominately for exercise, we’d suggest something a little wider like the iRocker Cruiser. 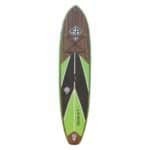 You’ll be fine in slight chop and winds as the board is very rigid thanks to the robust materials and 6” thickness. The turning ability isn’t crash hot so not ideal for rapids or surf. However, a board this size isn’t a good idea for those conditions anyway! It’s not as a fast as some other similar boards like the Red Paddle Co. Ride, however, it’s about half the price and not that far off being just as good. There’s a practical sized 9” single fin that does a supreme job at helping you tracking straight for long distance paddling. While the Burke Quest 11’ would perform in most conditions it’s definitely a “keeper” (can’t help myself) for river/lake long-haul paddling! Note: Keeper Sports claims the board weighs 24lbs on their homepage. We always weigh boards since sometimes manufacturer claims are a little off. In our test, we found the Quest to be heavier (13.57kg/30lbs). A detachable plastic 9” fin setup combined with two smaller side fins. The large center fin is great for keeping you tracking in a straight line while the two smaller side fins help you turn. If you want to know more about fin setups you can read the guide I wrote here. Inflate and deflate is just like most inflatable SUPs. No crazy extra instructions on having to turn around touch your toes and do 3 backflips or anything like that. Make sure the pin in the inflation valve is in the “up” position to inflate and “down” for deflate. A dual action pump is included with your purchase. Fully inflated recommended pressure is 15 PSI. A little tough after 10 PSI as per usual with inflatables! This is the board for you! The pattern design is our absolute favorite part of the board and it makes for an excellent feature in a saturated market of bland iSUPs. The outer PVC layer with wooden effect and lime green edging is a brilliant contrast and brings extra life to the board. Accentuating the aesthetics of the board materials is also the lime green and black striped EVA deck pad. The deck pad covers ¾ of the cover and super cushy – ideal for yoga/extra paddling partners. Upon the nose is 4 D-rings that feature bungee cords to help secure all necessary SUP safari items. Included in the purchase is a bag for portability. However, we found the bag to be quite uncomfortable and it even ripped a little upon the first use. 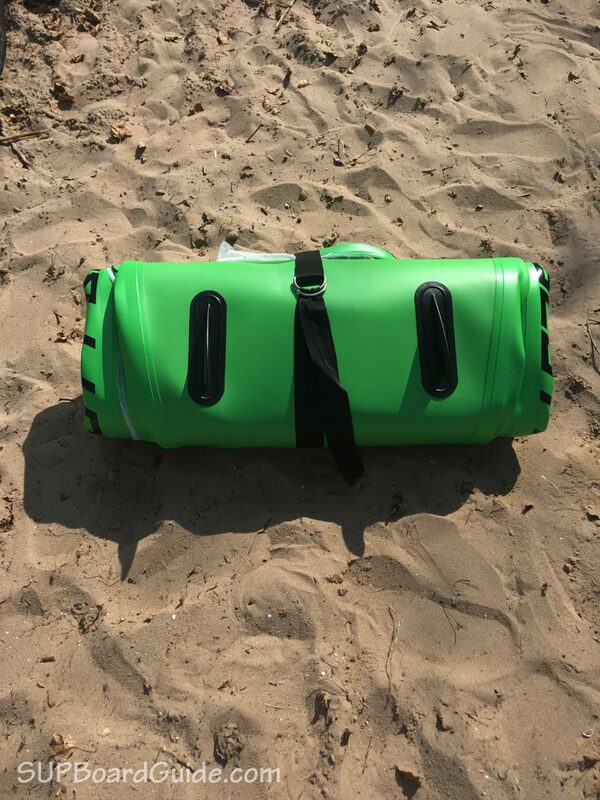 It’d be a totally acceptable bag for transporting your board from the car to the water but we don’t recommend it for long distances/traveling. As far as carrying the board inflated, there’s one handle in the middle. Slightly better padding for the handle in the middle would be ideal but it does its job. 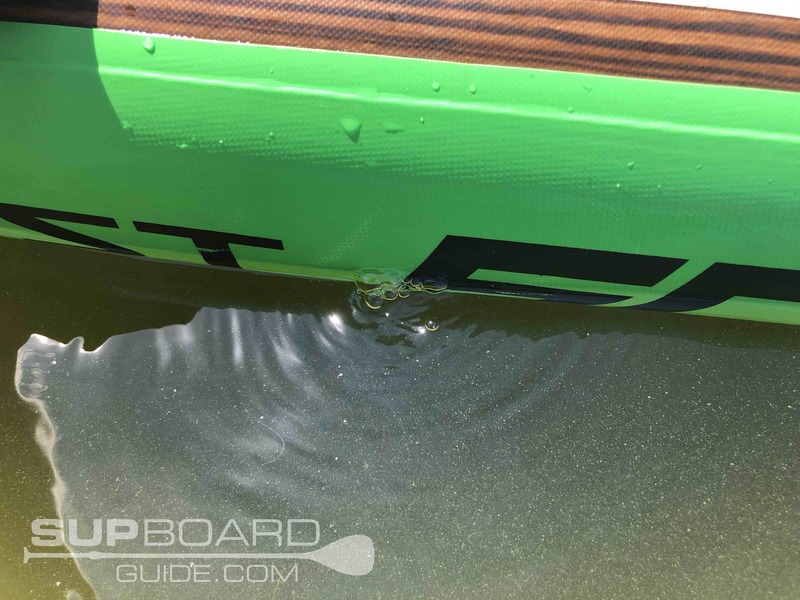 While getting a paddle included is always a welcomed addition, sometimes it’s not ideal for advanced paddlers. If you are just starting out, I wouldn’t even worry about what I’m about to harp on about. If you are already getting out a bit, you’ll also notice that the paddle isn’t fantastic quality. We noticed it’s a bit on the heavy side at 1150g. 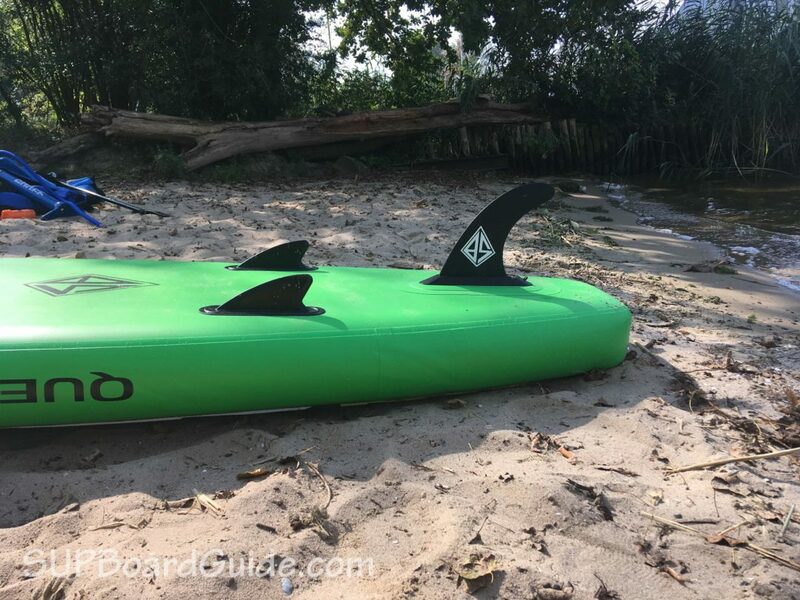 While the paddle is absolutely fine for first-time paddlers, advanced SUPers or people that want to cover longer distances should definitely consider upgrading to fiberglass or carbon fiber. Two fantastic options are the Crush FX and the Jaws MX. 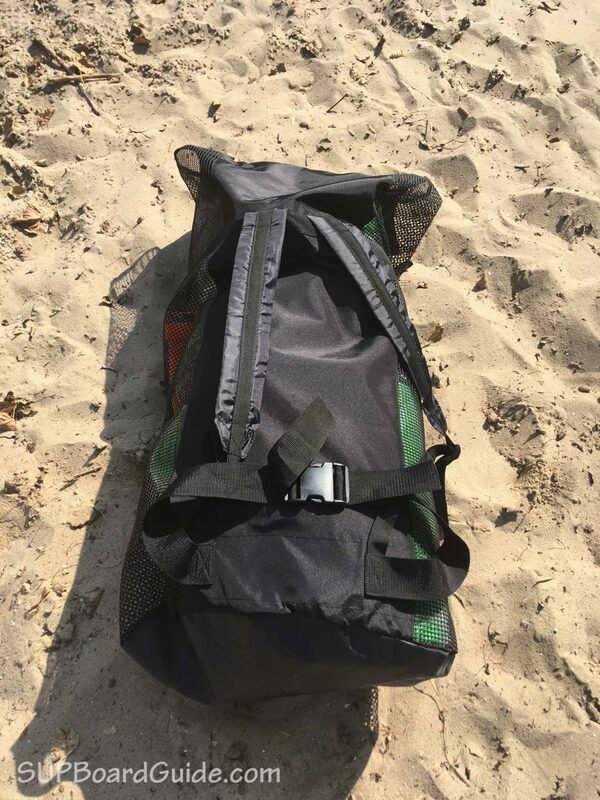 What we did like is the adjustable height feature, as well as it being able to compact down into 3 pieces for easy transport inside of the bag. Again, getting a leash is a welcome addition, and most iSUPs don’t include one. It’s imperative to have a leash if you are starting out. You see, as a beginner, no offense, but you’ll probably fall off a few times. When that happens, there’s a tendency for the board to go flying in the opposite direction. That’ll lead to you swimming perhaps great distances after it and can be particularly dangerous if there are strong currents about. It’s great to see that Keeper Sports values safety and includes one with every board. 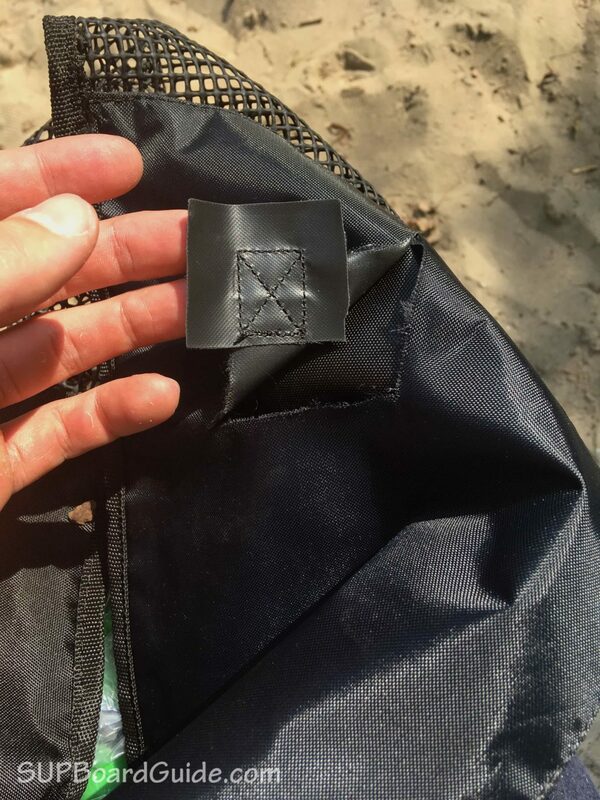 As mentioned earlier in the portability, the backpack isn’t what we would call “quality”. There is a lack of cushioning all over and there’s a lack of support. It’s fine if you are just needing it to go short distances like the car to the water. 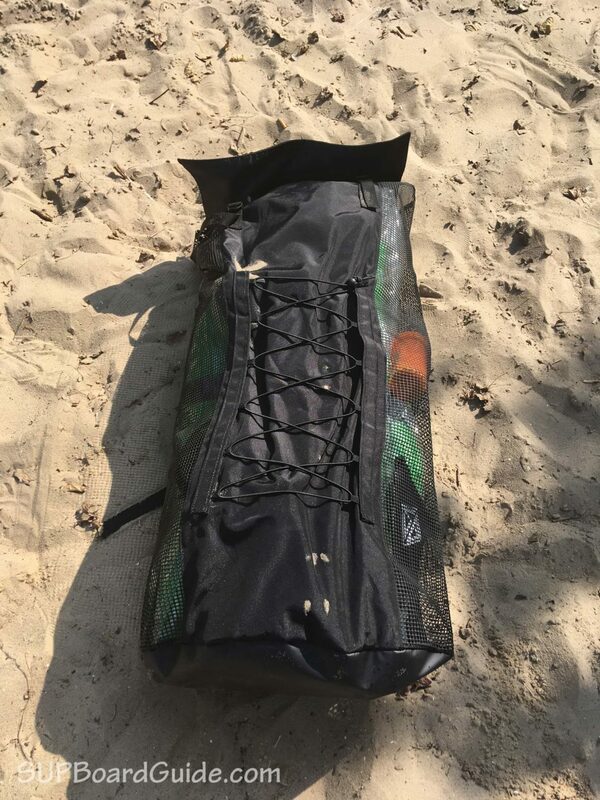 If however, you are traveling or hiking in areas, you should look at purchasing a separate bag. Included is your at home repair kit which is also the same as most inflatable repair kits. 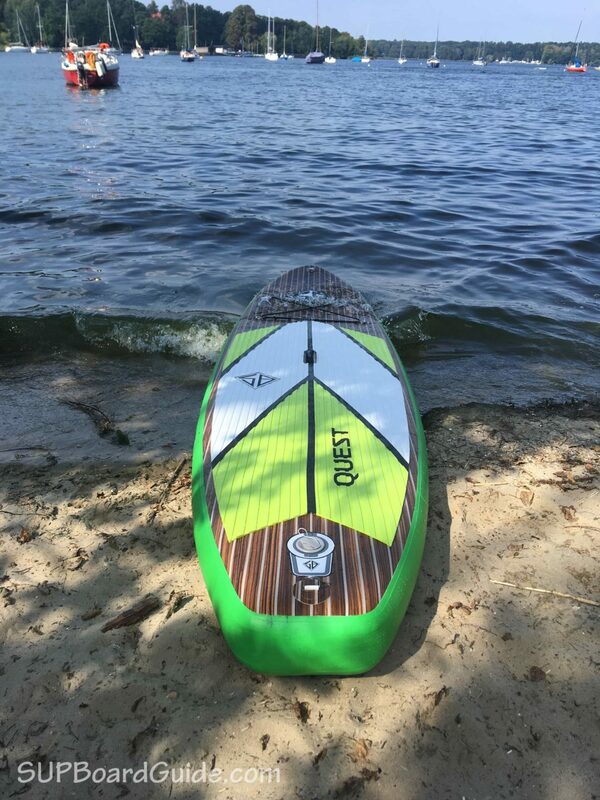 The performance of the Burke Quest 11’ board itself is good. It cruises well down rivers, keeps up speed and tracks terrifically. Stability isn’t an issue and given the above statements as well, this is a perfect beginner SUP. If you are intermediate, you’ll love the board too, but you may want to improve on the accessories. The design of the board is what stands out the most. We really loved the colors and wooden looking pattern! You can continue to look around at other iSUP all-around models, but you won’t find much difference in other models at this price range. 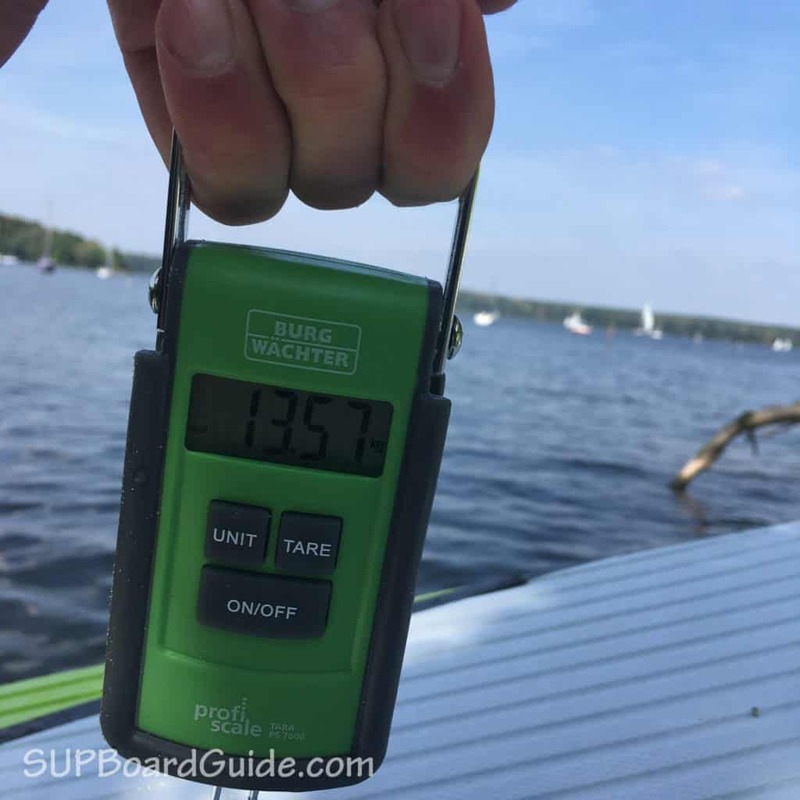 While some other brands include better paddles/backpacks with their boards, you will have a hard time finding a board that performs better on the water.